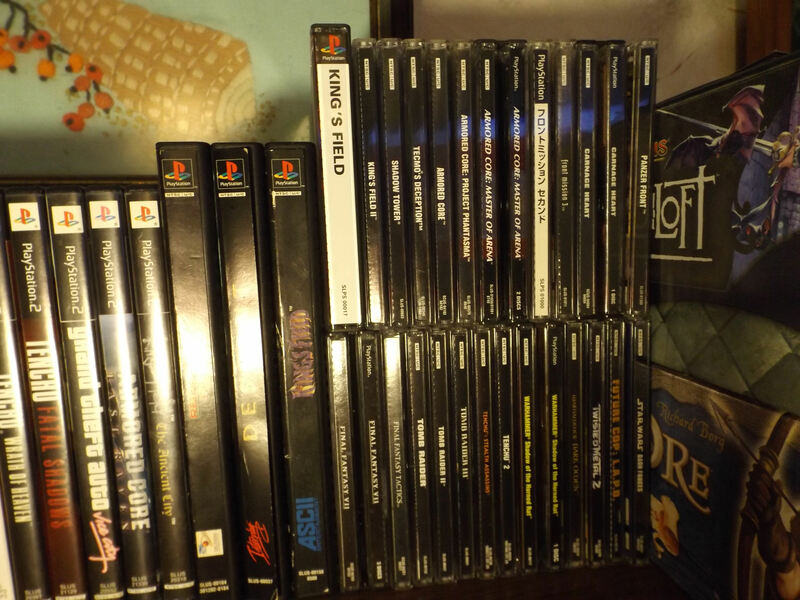 My PS1 game collection is coming along nicely. I now have most of the games I really enjoyed as a teenagers baring a few more expensive titles. For the second half of the year I would like to find an old CRT TV and get a few moderately priced titles I have been holding off on... and Bubble Bobble. Im also debating getting rid of Ogre Battle (its already on my sell pile), I enjoy it but like most strategy title these days I feel I am sorta wasting my time. Currently in the process of adding LEDs along the ceiling trim. Thank you. When and if I finally give in and buy another shelf the nes collection will probably shift to the left of the tv allowing the PS1 stuff to move over. The chess set is just medieval themed. Nice carved pieces though. The old lady got it for me for my birthday some years ago. Unfortunately it doesn't get used very often since I don't have anyone to play with in person. She doesn't really play with me any more because she only wins if I hand her the game. These are two of the old family lynx's. Since my brother has both his and my Grandpa's this must be the one me and my sister shared (old model) and my parents (new model). We had three of these cases full of games, with this one and my brothers two are now accounted for. The newer model had batteries in it and they were so badly corroded and expanded I had to pry them out with a knife. Hopefully everything still works. For some reason the flaps that hold the games secure have been cut out and both the power and car adapters are gone, as well as the link cables. Unfortunately most of the games I really liked arent here. My brother has some of them I know but we had doubles and triples of many of them for linking up. Where the rest wound up Im not sure. 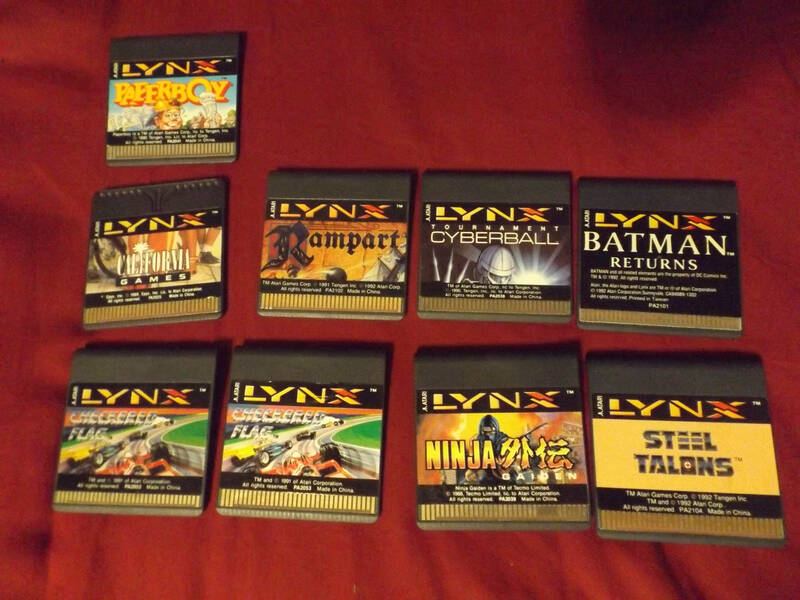 Nice Lynx pickup. I highly recommend the Lynx SD flash cart sold my Retro HQ. Thats awesome, thanks for the req! 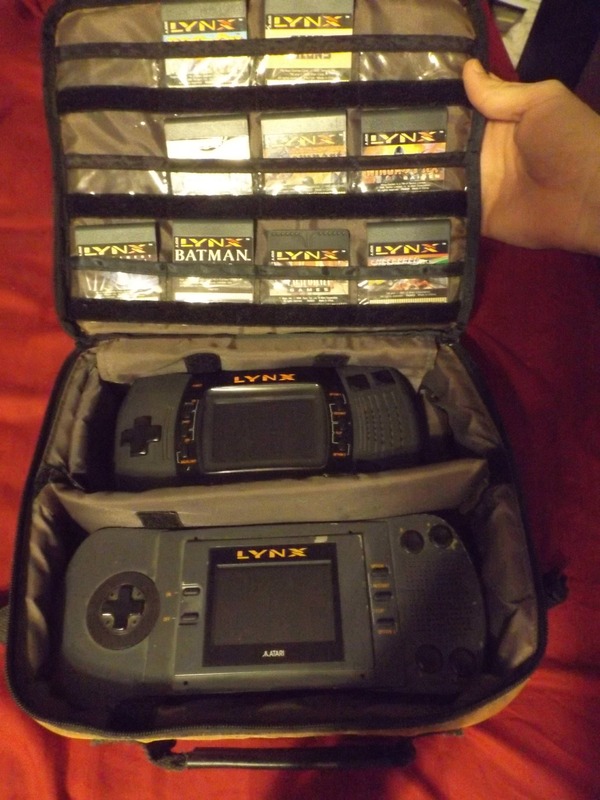 My brother brought all his lynx stuff during his recent visit, so now all the stuff is together for a total of four lynx's, 1 power cord, one link cable and around 30 games.